Please note: This page contains only operating system drivers for the Flash-Link. Any computer software related to the product that you wish to interface to can be downloaded from the the particular product's web page. For example, software for the Quark gyro can be found on the Quark gyro product page. 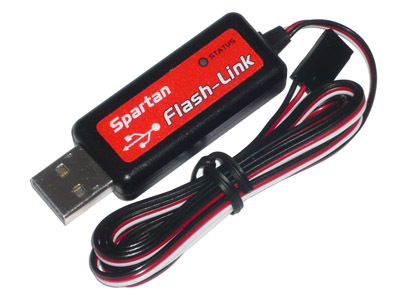 The Flash-Link is an intelligent cable incorporating a USB controller inside the USB plug housing and therefore it requires operating system drivers to function. For a smooth installation ensure that the drivers are already installed before plugging the cable to the computer for the first time. Observe the photos below to identify the correct driver for your Flash-Link. Drivers for new type Flash-Link with red label. • Auto Install Driver for Windows Vista and 7. • Manual Install Driver for Windows XP. Drivers for old type Flash-Link with blue data plug. Drivers for old type Flash-Link with black data plug are built-in Windows update. Use this driver if Windows fails to locate it.